The Israeli government has begun work on a massive underground barrier along the border with Gaza meant to block Hamas militants from tunnelling into Israel, defence officials said. 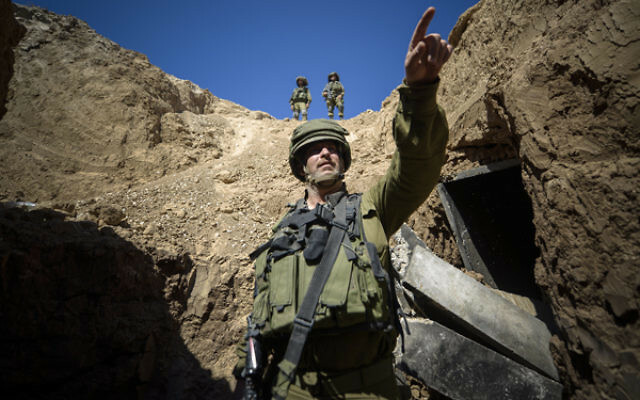 The project is the hallmark of a huge Israeli effort to halt the Hamas tunnels, which military officials have identified as a strategic threat. 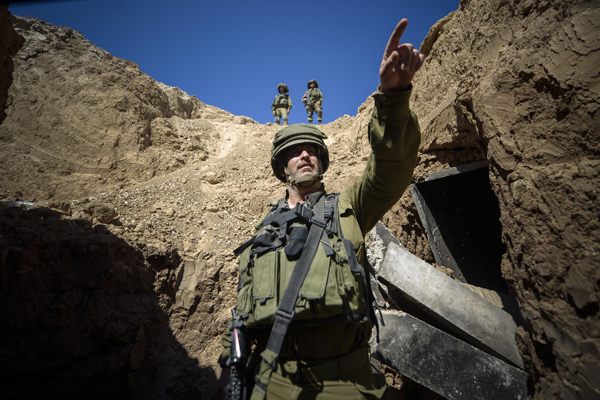 Hamas militants have used underground tunnels to attack Israelis. During a 2014 war, Hamas militants managed on several occasions to make their way intoIsrael through their tunnel network, though they did not reach nearby civilian areas. Israel destroyed some 32 tunnels during that conflict and has announced the discovery of several more tunnels since then. As a result, the military has invested great efforts in technologies to detect, destroy and block them. Israel has already surrounded Gaza with a sophisticated above-ground fence fortified with sensors, cameras, barbed wire and watch towers. The defence officials said work on the underground barrier had begun in recent weeks. When it is completed, it is expected to stretch the entire length of the roughly 45-mile border. The officials said the concrete barrier will run hundreds of feet deep. Israel is currently building an initial phase of the barrier over a small stretch of land measuring dozens of meters. At Kibbutz Erez, a community on Israel’s southern border with Gaza, work crews were busy on Thursday using cranes, heavy machinery and cement mixers. Caravans were scattered around the site, while large metal pipes ran along the ground. The officials said the barrier’s construction could take years. Salah Bardawil, a senior Hamas official in Gaza, said the group would not be deterred. “The Palestinian people and the resistance can overcome all the obstacles made by the occupation. The resistance is creative and advanced and doesn’t care about the occupation’s procedures,” he said.